Bishops facing Amoris Laetitia: Thinking along with Ross Douthat and John L. Allen, Jr. While most American journalists, and many scribes overseas, continue their meltdown about the election of Citizen Donald Trump, there is another amazing puzzle out there in world affairs that simply must be contemplated. It centers on Pope Francis, of course. 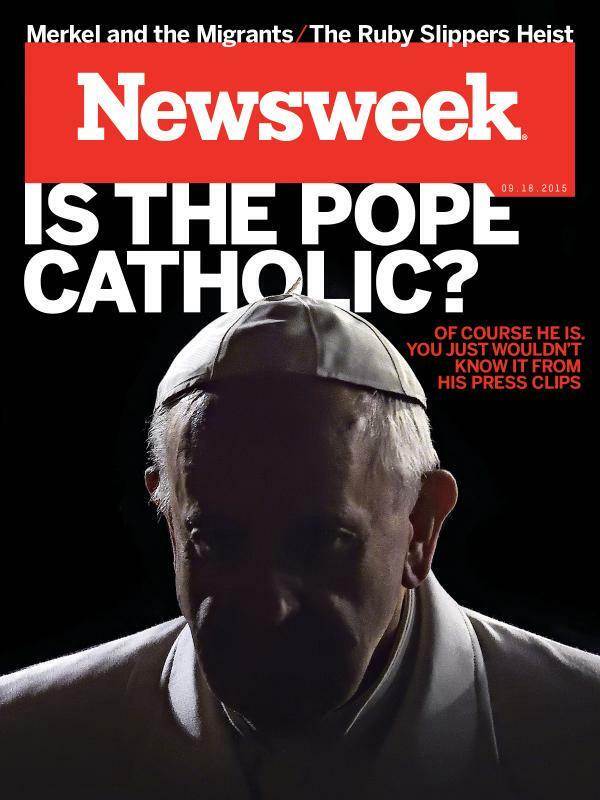 However, this is not your normal Pope Francis conundrum, one in which the pope picks a controversial issue and says something off the cuff that is complex and possibly confusing, the The New York Times and its disciples pick one sound bite out of the mix ("Who am I to judge?") and proclaim it as evidence that this pope is open to, well, becoming an Episcopalian, or something close to that. The pope then makes a second statement, or releases a written document, that restates his own thought framed in basic Catholic doctrines and the world press basically ignores the second story. Something like this. Two weeks ago, four cardinals published a so-called dubia -- a set of questions, posed to Pope Francis, requesting that he clarify his apostolic exhortation on the family, “Amoris Laetitia.” In particular they asked him to clarify whether the church’s ban on communion for divorced Catholics in new (and, in the church’s eyes, adulterous) marriages remained in place, and whether the church’s traditional opposition to situation ethics had been “developed” into obsolescence. The dubia began as a private letter, as is usual with such requests for doctrinal clarity. Francis offered no reply. It became public just before last week’s consistory in Rome, when the pope meets with the College of Cardinals and presents the newly-elevated members with red hats. The pope continued to ignore it, but took the unusual step of canceling a general meeting with the cardinals (not a few of whose members are quiet supporters of the questioners). You need to read the whole thing, of course. However, one of the many angles of this flap that make it newsworthy is that people on BOTH SIDES of the debate have started hinting that they may need to use the H-word -- as in "heresy." ... One those four alleged “worms,” the combative traditionalist, Cardinal Raymond Burke, gave an interview suggesting that papal silence might require a “formal act of correction” from the cardinals — something without obvious precedent in Catholic history. (Popes have been condemned for flirting with heresy, but only after their deaths.) That was strong language; even stronger was the response from the head of Greece’s Catholic bishops, who accused the dubia authors of “heresy” and possibly “apostasy” for questioning the pope. Who was, himself, still silent. So the papal silence is the story. This leads me to a second think piece for this day, by the omnipresent John L. Allen, Jr., of Crux. The headline here -- "Are some bishops in the Amoris debate still fighting the last war?" -- certainly suggests that he is not on the same page as Douthat on some angles of this story. However, he does offer some interesting thoughts that will interest journalists who are trying to figure out where this struggle may go next. That's what reporters have to try to do, of course. The key question here: Have some bishops on both sides of this debate painted themselves into some interesting tactical corners? As Allen puts it: "Both conservatives and liberals in the argument seem to be embracing strategies not necessarily conducive to their success." At face value it comes off as a curious position for those cardinals to take, because what do they really believe Francis’s answer will be if they somehow paint him into a corner and force him to speak? But the right wants clarity, as Douthat stated. ... Here too their strategy seems a bit counter-intuitive, since it’s far from clear that a straight “yes” answer would be the majority response to emerge from the U.S. bishops if it were ever put up to some kind of vote. In other words, you wonder why progressives would want the conference to handle this, where they’d arguably be in danger of losing (or at least not getting everything they want), rather than asking the pope to resolve the dispute, with whom their odds seem better. Once again, read this whole piece. So where next? When will the pope speak on this in public? Older PostConcerning the state of the American church, once again: Is the glass half-full or what?